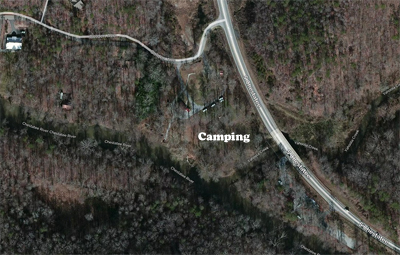 Trail Fest camping is available at our family friendly site. Free for REI members or $20/night for non-members. If you are not an REI member, you may go to this link to get a lifetime membership for $20, which will be good for free camping. 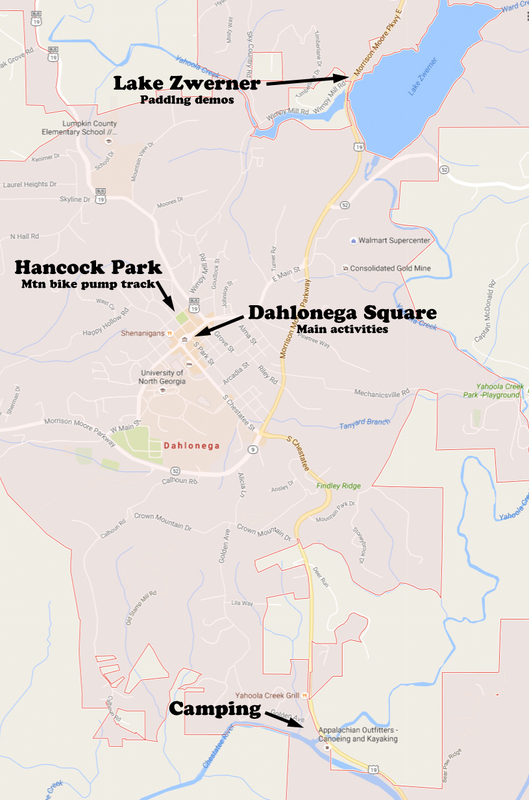 Need a place to camp during the Dahlonega Trailfest? Join us at the official campground of DTF sponsored by REI. Share backpacking stories around the fire pit or cook your food on camp cooking equipment provided by REI. 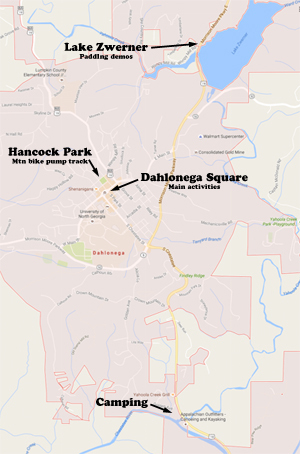 Tent sites are in a grassy, wooded site, the home of Appalachian Outfitters Tubing, a mile from the Dahlonega Square. (See the aerial view for details.) Portajohn toilets are provided. There is no potable water, so bring your own. There are changing rooms, but no showers at this location. Ample parking adjoins the tentsites. The camping venue is located on the Chestatee River and swimming is available. Tubing will be available during the day from Appalachian Outfitters at the campsite for $6.00. The site will be supervised by REI staff who will be camping here too. 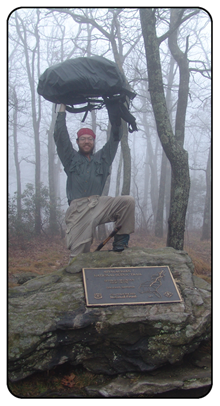 A panoramic view of the AT from southwest to northeast from Crown Mountain in Dahlonega, GA.